What you eat in the morning sets you up for how you are going to feel and function throughout the rest of the day. That is why it is so important to start your day off with a meal that is loaded with nutrients like fiber, probiotics, and antioxidants. Our Living Chia Breakfast Bowl meets all these criteria and so much more! Not only is it loaded with nutrition but it is also delicious and super simple to make. With just a few minutes of overnight prep can make your mornings so much easier! This detox recipe is so tasty that you’ll want to eat it even after you finish your 21 Day Detox! – Add the rest of the ingredients and enjoy! 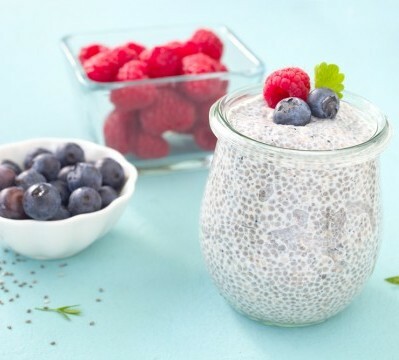 How did your Living Chia Breakfast Bowl turn out? What awesome ingredients did you add? Let us know in the comments below! Where can i find chia ?? Tried kiwi Rosemary and Young Living’s peppermint Essential Oil. It was nice! Peppermint Essential Oil was the deciding factor. So cooling!